It is always interesting to look into latest patent filing to guess how future technology is trending and just recently, Palm Inc has filed an innovative patent idea that would allow apps to perform different tasks based on mobile devices’ positioning supported with its built-in camera and GPS module. Some of the interesting examples that being quoted in the patent filing include the ability to let users capturing photo when the mobile device is in vertical position. And by changing its orientation to horizontal mode will trigger other functions such as opening the captured images stored in album ready for viewing without the need to physically tab on the screen to access it. Besides, another new usage model has been realized by utilizing camera module embedded into mobile devices to identify landmark’s information. By simply pointing the camera to any building such as restaurant or any unfamiliar landmark will able disclose its related information based on accurate GPS data that could definitely helpful especially when for those frequent travelers to ease up the trip arrangement and environment familiarization. For instances, users will be able to retrieve visiting place’s operation hours, restaurant’s menu selections, room reservation availability and many more with up-to-date information on hand. 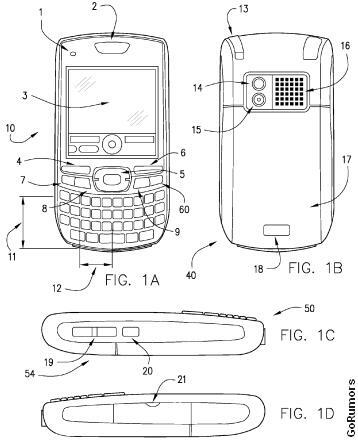 Just like other patent ideas that may stay quietly in patent office, it is still too early to confirm if this newly derived feature sets will be implemented into any upcoming mobile devices but this will definitely trigger our thought how to improve real life usage more innovatively by leveraging on latest technology.